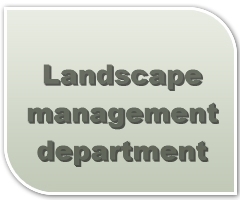 On 22-23 April 2015, the Department of Landscape Management of Klaipeda State College together with the Department of Landscape Architecture and Environment Planning of Klaipeda University, as well as with the Lithuanian Landscape Architects Association and ‘Klaipedos želdiniai’ Ltd is organising an international scientific - practical conference “Formation of Urban Green Areas 2015: the public spaces”. The conference is held every year. This conference is the eleventh. We hope that participants will have an opportunity to establish new contacts, to exchange information and experience on preservation and development of sustainable and qualitative living environment. Dr. Regina Repšiene – assoc. prof. at the Department of Geodesy and Landscape Management at Klaipeda State University of Applied Sciences, researcher of Vežaiciai branch LAMMC. Prof. PhD Jakovlevas Mateckis – professor at Urban Construction Department, VGTU. Vida Gerikiene - lecturer at the Department of Geodesy and Landscape Management at Klaipeda State University of Applied Sciences. Participant’s fee - 20 Eur.